This phenomenon is partly due to the fact that today's employees now own personal technology devices, and a variety of collaborative software options make it possible to effectively communicate with team members near and far. According to JLL's New Era of Coworking Report, the number of individuals coworking is expected to reach 1 million globally by 2018. Look no further than London's very own Impact Hub to see how much things have changed: Since opening its doors (as the Hub Network) in 2005, the company has attracted some 11,000 members across 80 hubs worldwide. Unsurprisingly, the steady increase in demand for coworking space has yielded an impressive number of options to choose from: London alone boasts a whopping 135 coworking spaces (each offering a little something different). While most tech startup founders are drawn to coworking spaces for their emphasis on collaboration, openness, and affordability, they understandably need more information before taking the plunge. In this article, we'll outline the major pros and cons of coworking in London so you can make the best decision for your growing team. What are the Pros and Cons of Coworking in London? The primary reason coworking spaces are more affordable than traditional office spaces is because you are splitting routine costs with other members. You're all paying to keep the lights on, and the espresso machine loaded, and you're all going to have an opinion on what makes an optimal work environment. Do you think the ideal temperature for getting work done is a warm 25 °C? The majority of your coworking counterparts may prefer a cooler 22 °C. Would you prefer everyone keep the volume to a whisper, while you focus on designing an important deck? What about getting your company name frosted on the glass door? Not gonna happen (unless you're renting a private office at RocketSpace). Since you're not the boss of everyone, you will have to give up a fair amount of control. Factors like room temperature, noise level, and decor are decided upon by everyone (and in many cases the coworking space itself). Pro Tip: Always try out a potential coworking space at several different times of the week before committing to any one facility as a hot-seater. This way you can accurately assess its overall vibe and culture. London is one of the busiest cities in the world. Whether you're renting a traditional office space or trying out a coworking space, there likely won't be much room to spread out — especially when on a small budget. Many coworking spaces, anxious to capitalize on their real estate investment, cram as many desks as possible into their facilities. While many tech startup entrepreneurs thrive in open workspaces, some understandably prefer to limit close proximity to strangers to the Tube. For private office space, John Lilly, partner at Greylock Partners, notes that he usually budgets 175 to 200 square feet for his tech startups. However, it's not uncommon to find square footage allotments as low as 75 square feet for collaborative workspaces. We love ping pong as much as the next person, but let's be honest: How much time are you really going to spend playing? Unless you're "The Forest Gump of entrepreneurs" (yes, he was a ping pong champion), your down-time will probably be spent courting potential stakeholders, gaining new skills to make your startup a success, or grabbing a pint at the pub after a long day of work. The ideal amenities for young tech companies are very different than the ideal amenities for freelancers. In addition to the usual full coffee pot, you'll need dependable and fast WiFi, 24/7 building access, privacy enclaves (for making important calls), and plenty of available meeting rooms. Since most coworking spaces attract a wide net of remote workers, you may end up paying for amenities that aren't of high value to your startup's needs. Though cheaper than an office, coworking memberships may still prove too expensive for founders who are just getting started. The average London coworking membership starts at £400 a month — that's £4,800 per year (just for one person). Translation: Startup founders without MVPs may be better off spending their precious cash on product development. Though less than ideal, London has a variety of fabulous free work locations, including libraries, coffee shops and common spaces. Now that we've reviewed the downside of coworking, let's look at why it is becoming more and more popular among all types of workers across a variety of industries. What are the best coworking spaces in London? Get The London Startup Guide for the best coworking spaces, meetups, events, and more for tech entrepreneurs in London. "I believe co-working harks back to the coffeehouse environment of 17th and 18th century enlightened thinking. It wasn’t the coffee, just as it isn’t the beer today; it is the community. It’s that magic spark that happens when intelligent, creative people on different life courses come together." This statement reflects how people thrive in an open and communicative environment. In fact, in a recent poll, 74 percent of respondents indicated that thinking, talking, and brainstorming created the most value for their organization. Unsurprisingly, several studies have shown that people feel happier working in a shared space than in a traditional office. With that said, not all coworking communities are of equal value to tech founders. While you might bond with someone over a love of Manchester United in a general coworking facility, you may be less likely to sit next to someone who can discuss the Berkus Method. Educational courses, guest speakers, and roundtable discussions. Introductions to a prominent VC and angel network. Introductions to experienced mentors and startup alumni. Ongoing social events to network with current members. At RocketSpace, we offer member-only events around common startup struggles (i.e. raising your next round, recruiting top talent, and optimizing products). We also offer tech startup events that are available to the public. Let's be honest: One of the best perks of coworking is all the "free" stuff you get with your membership. The best coworking spaces think carefully about what would make their members' lives easier, and provide them as part of their membership. In London, you will find everything from cafes to yoga classes to DJ nights. When evaluating amenities, keep in mind what you most value, and make note of the amenities that you might actually use. While gym memberships are great, they definitely aren't appreciated by everyone. 4. You can actually afford to work in Shoreditch! News flash: London is expensive. Most startups simply cannot afford a Zone 1 or 2 address without coworking. Increased demand from escalating commercial rentals have forced many tech companies away from London's desirable Silicon Roundabout/Shoreditch area and into areas far removed from investors and clients. Can you afford to pay £51,600 a year for 600 square feet? If you can't, and you're not willing to compromise on working within the city's tech hub, coworking is your best option. Another primary advantage to coworking as a startup? The ability to quickly change workspaces as need be. Whether you need to add a desk, subtract a desk, or upgrade to a private office next month, most coworking spaces in London can adjust your monthly membership to fit your changing needs. Is Coworking In London Right For Your startup? While different startups have different needs, for many, coworking is an affordable, flexible, and convenient option. With that said, the pros really do outweigh the cons in most instances. Often, even startup founders who have the budget for a private office choose coworking for many of the reasons we've discussed. The enhanced flexibility, convenient amenities, and supportive community facilitates a level of networking and growth that's hard to beat. If you're a Seed to Series C tech startup with a minimum viable product, we invite you to come check out RocketSpace. 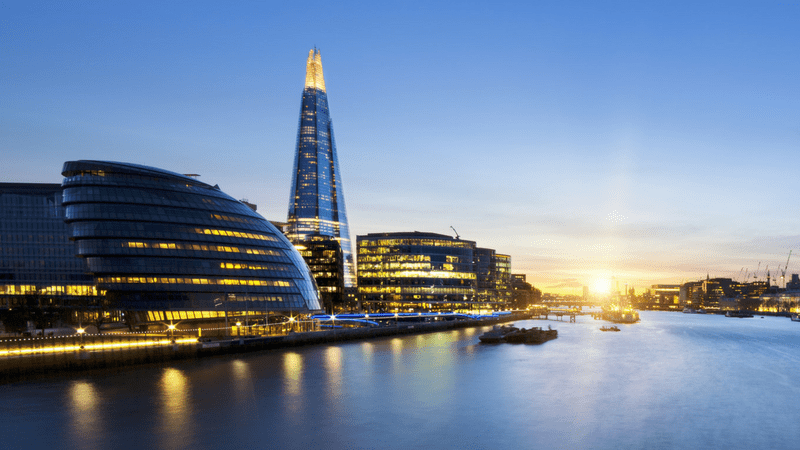 Looking for more tips and advice for tech startups in London? Grab a copy of The London Startup Guide for a curated list of the best resources for tech startups in London.